Dr Swee Tan completed his medical training at Melbourne University in 1985 and plastic surgery training in New Zealand in 1992. His post-fellowship training included a Craniofacial Fellowship at Oxford and Craniofacial Research Fellowship at Boston’s Children’s Hospital and Harvard Medical School. In 1995, he was appointed Consultant Plastic & Cranio-Maxillofacial Surgeon at the Wellington Regional Plastic, Maxillofacial & Burns Unit at Hutt Hospital, where he was the Director of Plastic Surgery from 2000-2006 and Director of Surgery from 2007-2013. He was appointed Professor in Plastic Surgery at Otago University in 2008. He is the Founder and, since 1996, Director of the Centre for the Study & Treatment of Vascular Birthmarks, a national referral centre. Dr Tan founded the Gillies McIndoe Foundation in 1988, which led to the establishment of the Gillies McIndoe Research Institute (GMRI). The GMRI is investigating the role of stem cells in disease and health and conducting pioneering research into the cause and treatment of cancer, vascular anomalies, fibrotic conditions and regenerative medicine, based extensively on the role of the renin-angiotensin system. An elected member of 13 national and international professional and scientific societies, Dr Tan is a recipient of 19 science prizes and 26 honours and awards including the KEA World Class New Zealand Award, the Officer of New Zealand Order of Merit from the Queen, and the Fervent Global Love of Lives Medal. A holder of six patents, he is an author of over 150 publications in peer-reviewed journals, books and book chapters and has delivered over 350 lectures at conferences. 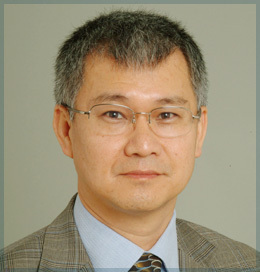 Dr Tan is a Member of the Editorial Advisory Board of the Journal of Plastic, Reconstructive & Aesthetic Surgery, an Associate Editor of Frontiers in Surgery, Plastic and Reconstructive Surgery, and Plastic and Reconstructive Surgery Global Open, and a reviewer of 32 other medical and science journals.